Screening of Riots Reframed, a documentary on the 2011 riots by Fahim Alam, followed by panel discussion with Fahim Alam, Carole Duggan and others. Carole Duggan, Jeremy Corbyn MP, Aaron Kiely (NUS black members officer), Jason Hackson (LMU student union president), Rob Murthwaite (London UCU equalities officer), Christina Paine. Organised by LMU UCU union branch and supported by LMU Unison and LMU student union. Carole Duggan, Imran Khan (Doreen Lawrence’s solicitor), Fidel Santigi (Riot From Wrong) and others. 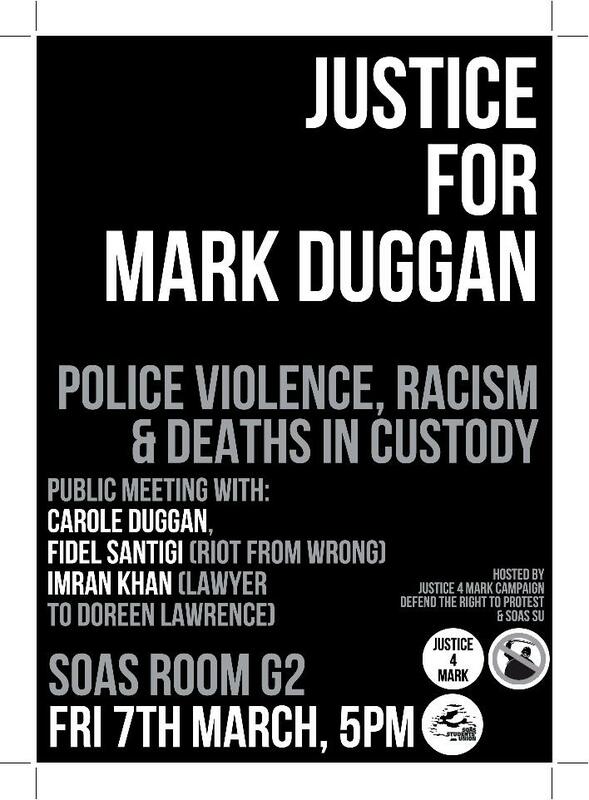 Organised by SOAS student union, Justice for Mark Duggan and Defend the Right to Protest. National demonstration against racism and fascism from Parliament Square to Trafalgar Square. 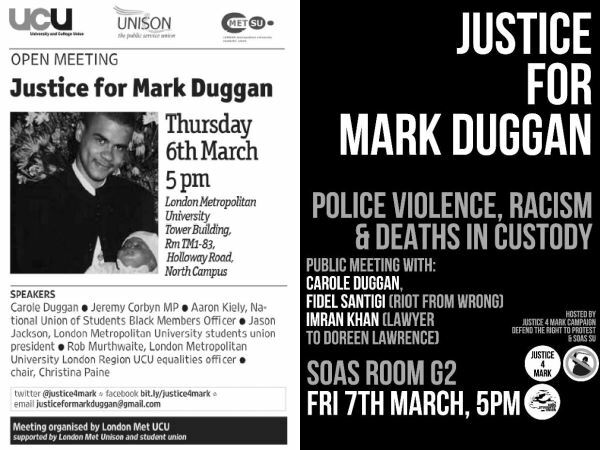 There will be a Justice for Mark Duggan bloc on the demo – come and join us! Posted in events, flyers, media and tagged flyer, j4m, justice4mark, launch meeting, leaflet, solidarity on 25 February 2014 by bat020. We are holding this peaceful vigil as a mark of love and respect Mark Duggan, the Tottenham dad of six who was shot and killed on 4 August 2011. 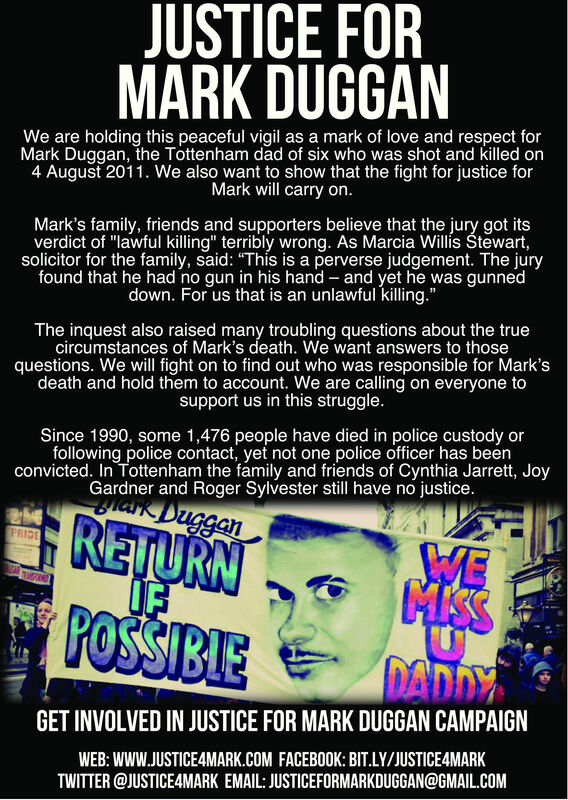 We also want to show that the fight for justice for Mark will carry on. 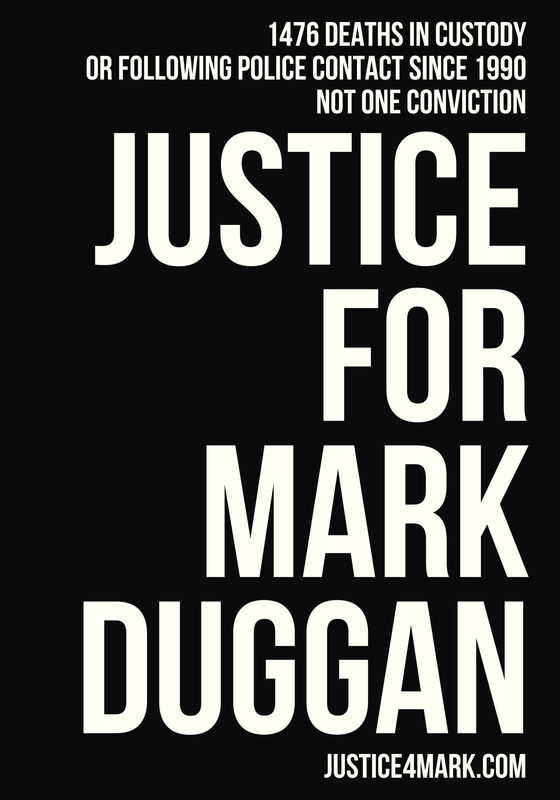 The inquest also raised many troubling questions about the true circumstances of Mark’s death. We want answers to those questions. We will fight on to find out who was responsible for Mark’s death and hold them to account. We are calling on everyone to support us in this struggle. Since 1990, some 1,476 people have died in police custody or following police contact, yet not one police officer has been convicted. In Tottenham the family and friends of Cynthia Jarrett, Joy Gardner and Roger Sylvester still have no justice. 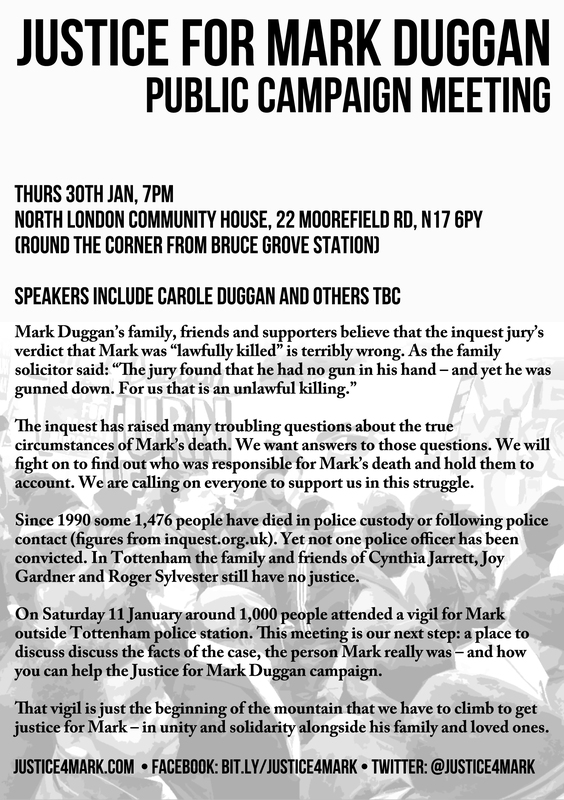 Posted in Uncategorized and tagged duggan, j4m, justice4mark, leaflet on 12 January 2014 by bat020.